The Cooking Lake Moraine is a unique representation of natural, industrial, and human features in one landscape. Alberta's Land Use Framework assumes parks and protected areas (PAs) will play a pivotal role in maintaining biodiversity across the landscape. However, many PAs are islands of intact habitat in a sea of human land-use. To maintain biodiversity, they need to be functionally connected to one another. Are they? Mixed-use landscapes may be particularly suited to generalist species, including some mammalian mesocarnivores. 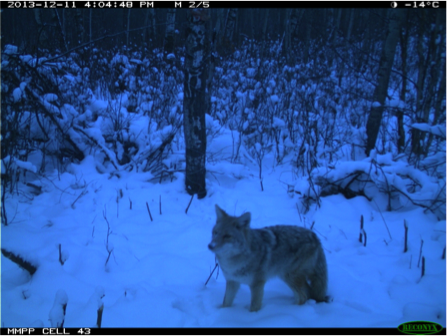 Mesocarnivores – mid-sized mammalian predators, such as marten, fishers, foxes, coyotes, lynx, and raccoons – may persist in forest landscapes with a degree of agricultural incursion or fragmentation. 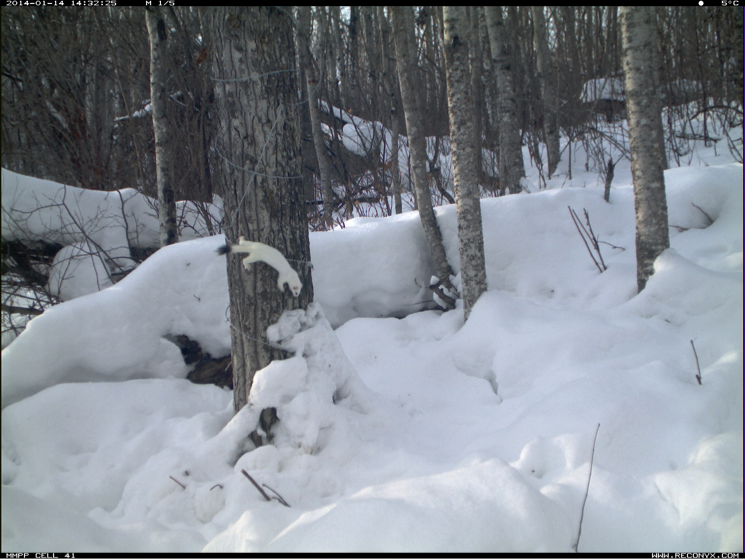 First, these landscapes often have reduced or absent top predator populations (such as bears and wolves). In the absence of top predators, mesocarnivores are released from predation and competition, and their populations can increase. Second, fragmented landscapes often support diverse small-mammal populations, which provide abundant prey for mesocarnivores. 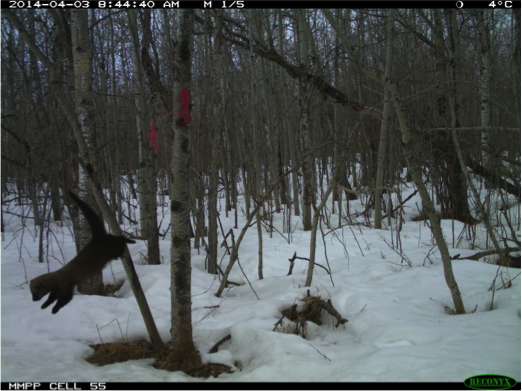 In western Canadian landscapes, we know little about mesocarnivore species persistence in fragmented, mixed-use forest-agricultural systems, but this information is vital to evidence-based decision-making designed to maintain ecological integrity within small protected areas. Fisher are a weasel the size of a large house cat (~5kg) with dense brown fur. Although they are a fairly large size for most weasels, they are rarely seen across their native range of North America. In the west, the status of their populations is still unknown, but their populations have made a steady recovery on the eastern half of North America. Fisher (Pekania pennanti) were re-introduced to the Cooking Lake Moraine in the 1990s, but whether the current animal inhabiting the moraine are descendents from these re-introduced animals, indicating a successful re-introduction as well as limited gene flow and dispersal of this species between the CLM and other areas of Alberta, remains a mystery. Using this natural experiment we hope to answer several goals. 3. 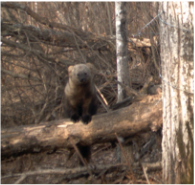 Understand how protected areas (PAs) in a mixed-use landscape are functionally connected to one another, and to PAs elsewhere in the province, by examining the genetic structure of reintroduced fisher (Pekania pennanti) populations.